The two friends Nektarios Marianakis and Nektarios Marathakis had already planned from their school time on to found a business together in the future. Now the two young fathers and committed organic farmers seem to have fulfilled their childhood dream by founding a company for packing and marketing organic products near Chania in north west Crete. The company collects fresh vegetables from all over Crete. There is infrastructure for procuring, packing and exporting the produce all at once on the same day. This, together with the fact that in recent years many young farmers have decided to dedicate themselves to organic cultivation methods, finally makes the big range of off season organic vegetables (in particular tomatoes, cucumbers, and peppers), grown on the island under totally natural conditions, available in the international markets all year round, with emphasis on deliveries during winter. 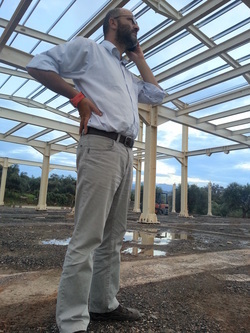 Since April 2014 the company runs its new pack house near Chania.